I was so spoiled on my recent 50th birthday. 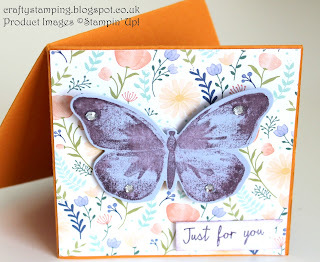 I received lots of cards and a few of them were handmade by my fellow Stampin' Up! organiser buddies. So I thought I'd share them with you. I've linked each photo to either the blog site of the person who made it or in one case to the You Tube channel as I can't find a blog for one of them. So click away, go look at their gorgeous work and like, subscribe, follow and spread some Crafty Little Love. 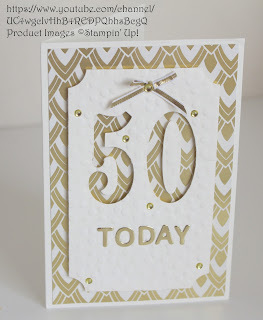 First up was this gorgeous card from my Stampin' Up! 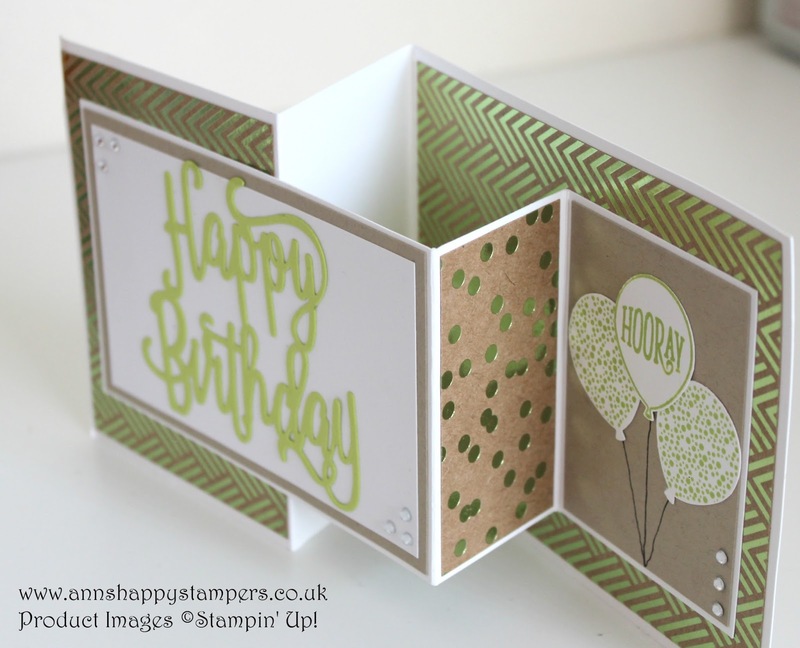 upline Ann who is a fabulously supportive lady and an inspired designer of gorgeous papercrafted items. If you're not following her You Tube channel you should be, she gives the best demonstrations and tutorials and it's because of her example that I became a demonstrator myself. 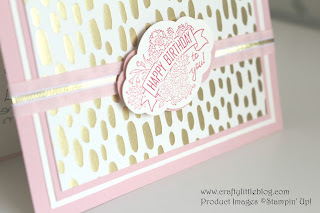 I love this card and the foiled DSP she has used is just gorgeous. It's from the Foiled Frenzy Speciality DSP stack and I just love it. 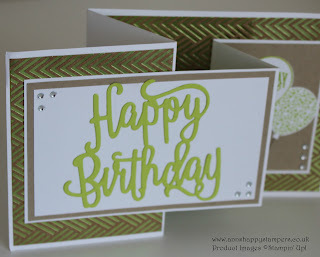 The Happy Birthday die cut thinlit used here is a really popular die with Stampin' Up! fans. I always feel privileged to get an Ann Melvin original card they are so gorgeous. 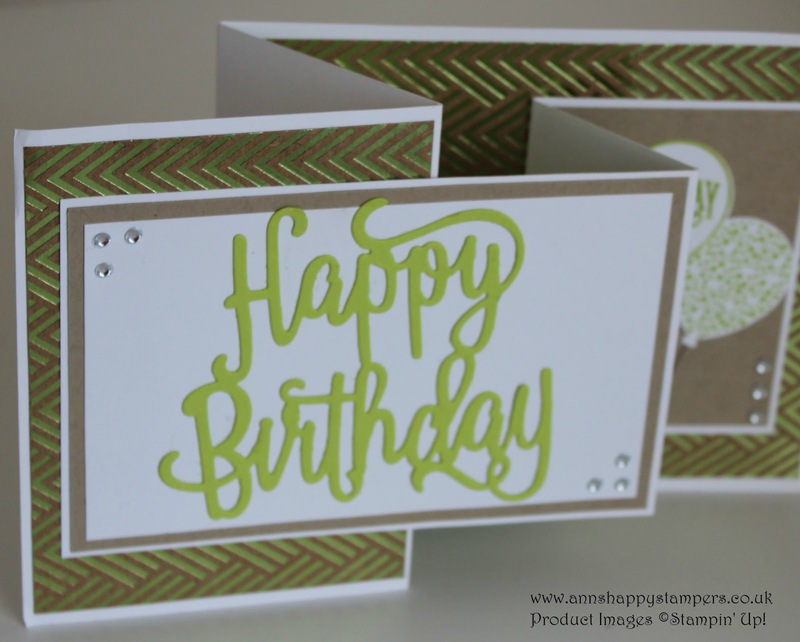 Ann's use of texture and layering with embossing and unusual use of vellum really inspires me to be more creative. 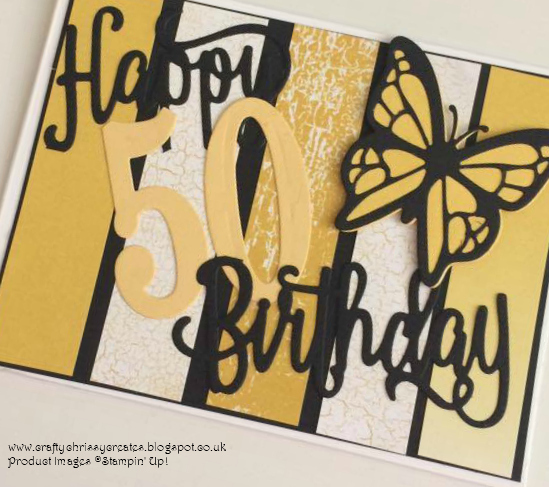 Next up is another fab card from Steph, a fellow member of Ann's team. Steph creates some amazing cards and this one was just so me. 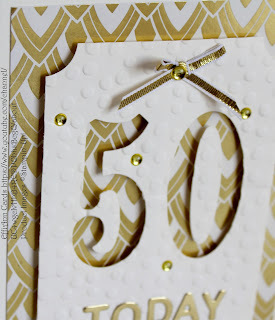 I love how she used lots of gold with the Eastern Palace speciality DSP pack and Very Vanilla. The embossed and die cut front layer standing off the card using dimensionals was a great idea and it has gone into the memory bank. 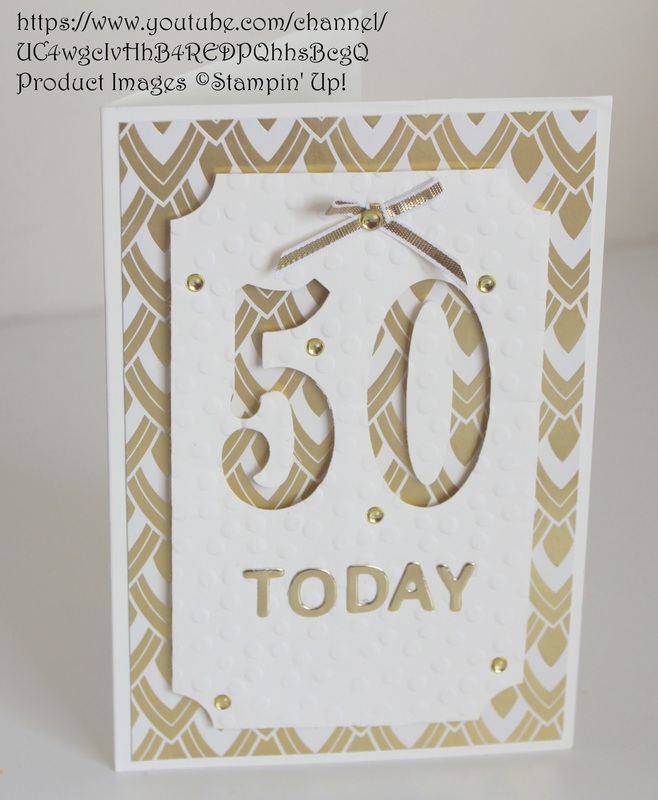 Next is a card made by Fiona, the lovely creator of The Joy of Sets Facebook group and challenge blog as well as being an amazing designer herself. 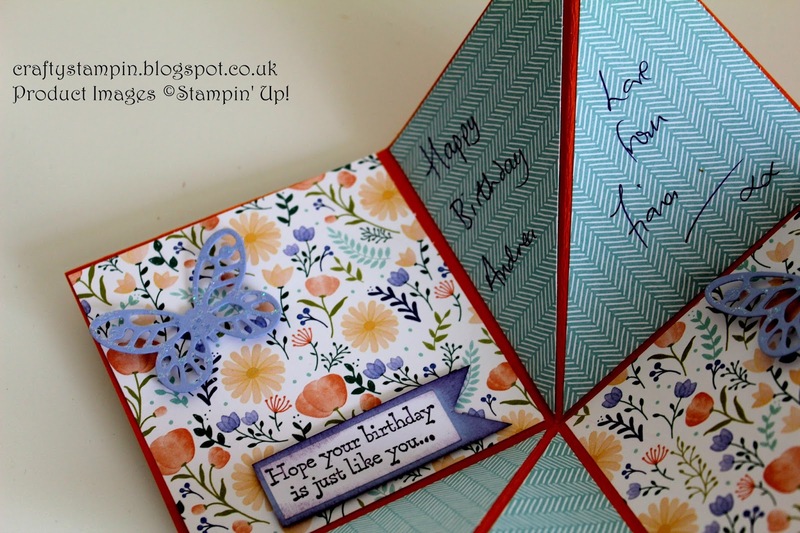 I always think of Fiona as queen of the folds as she creates some fabulous unusual fold cards and this was no exception. 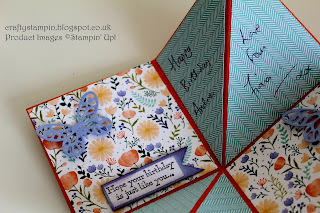 I love this floral DSP from the Daisy Delight stack and the butterfly addition cut using Bold Butterfly framelits from Wisteria Wonder if I'm not mistaken. The glittery accent on the butterflies is so pretty and delicate too. The whole floral, butterfly theme really plays to my soft, nature loving side. This next card was made by my daughter. It's the first card she's made as an adult and using my Stampin' Up! supplies and tools. She loved making it and knowing me as she does she went with similar tones to Steph. This card epitomises that soft girly me with the bold opulent edge and a little bit of sass. 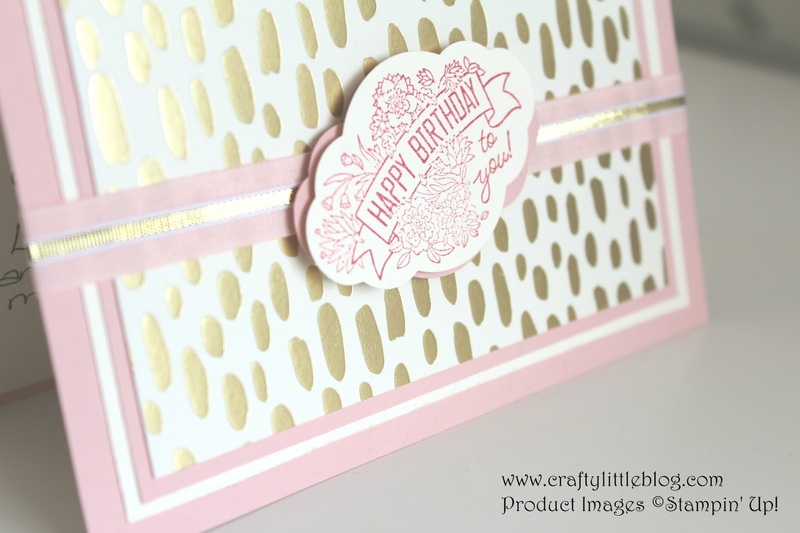 She used a Very Vanilla thick cardstock base and then layered up with Powder Pink and DSP from the Bundle of Love Speciality DSP stack. 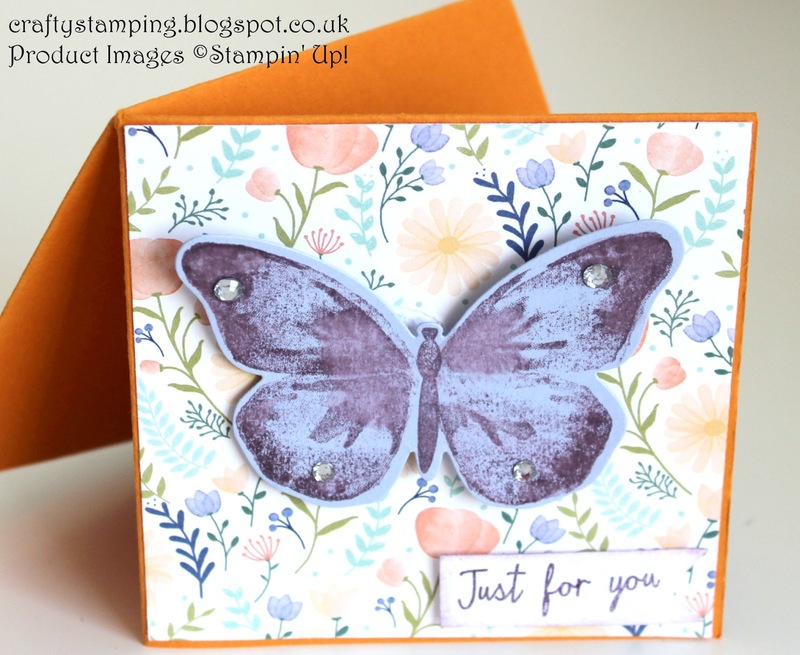 She used the Pretty Label Punch and Label Me Pretty stamp set to create the sentiment which she added using two of the current Stampin' Up! ribbons layered together. Finally Crafty Chrissy one of the most inspired designers I know created this gorgeous card for me. 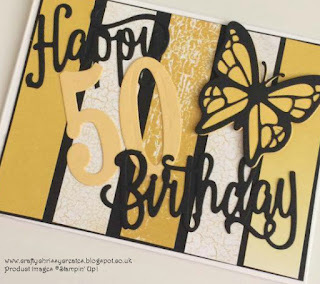 I love the sharp contrasts of the Colour Theory DSP and the black cardstock and how she used the same Happy Birthday thinlit as Ann but in a very different way. Also using the number dies as Steph did but again in a very different way. 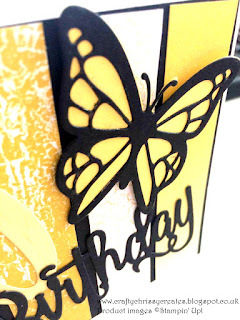 I just love the dramatic butterfly and this card really does capture my dramatic bold side. I love them all and I'm so grateful that people went out of their way to make my day special and even that step further to make a hand made card just for me. I will treasure them as mementos of my big day. I've linked below as much of what was used in these cards below if you want to get your hands on anything in particular and as I said above each image is linked to the designer's page so please do go and support them and check out the amazing things they make. Thanks for dropping in as always.